Famous for a popular football club, the Spanish city of Barcelona where FC Barcelona was originated in 1899, is best to visit during the summer time. I had planned my trip in the second week of June and for me, the weather was perfect for a holiday. Personally, I prefer slightly cooler temperatures than the warmer seasons because my hijab and modest clothing makes me feel warm. Although it was a 2 day trip to Barcelona, I was lucky enough to explore most of the tourist destinations. Having seen the tourist places, there were a few that were my favourite, which I am going to share with you all. 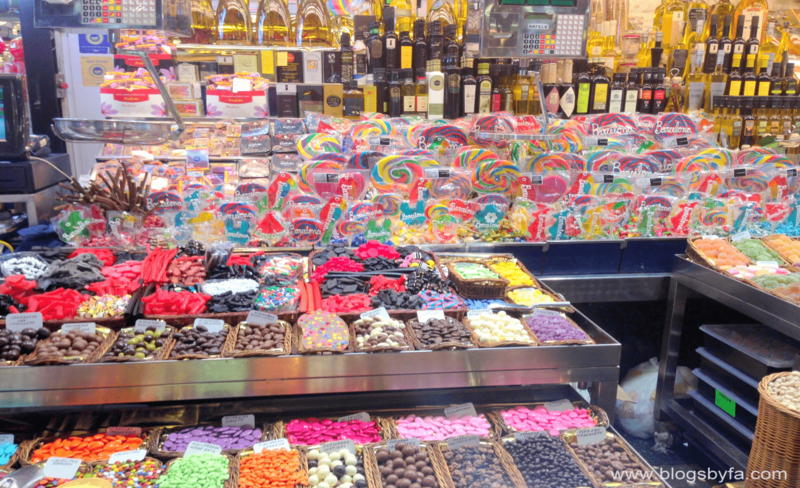 From my personal experience, here are the top attractions and things to see and do in Barcelona. 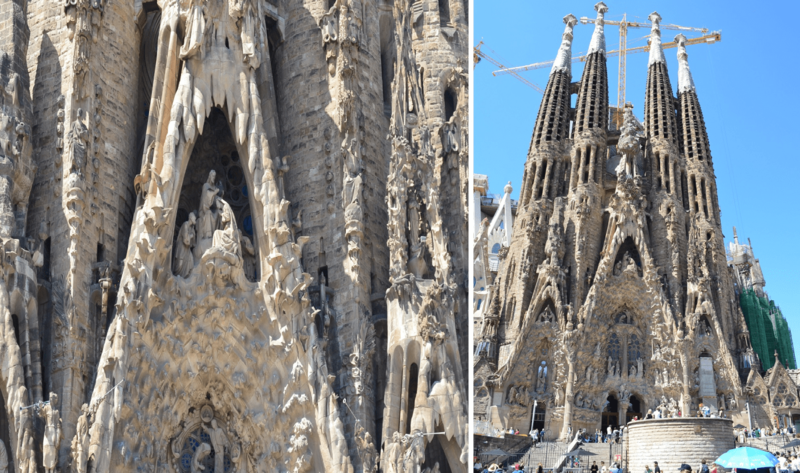 A church that has been designed by architect Antoni Gaudi, and has still not been finished, tops the list of the top attractions in Barcelona. Although it’s incomplete, the design is really unique and intricate because of which it’s the most visited tourist destination, and of course, a must-see when in Barcelona. I had taken a train from the hotel where I was staying and I could see the church right after I walked out of the train station. So, it’s really convenient to go there by train. On reaching, I could see crowds of tourists gathered around it and there was an extremely long queue of the tourists who wanted to see Segadra Familia from inside. As we were short of time, we choose not to see the church from inside, just took some photos and moved on to our next attraction. However, if you wish to see the church from inside, I would advise you to purchase the ticket prior to the visit so you can skip waiting in the queue and save time. I have also observed that purchasing online tickets for tourist spots also sometimes offer discounts. The money generated from the tickets is used for the construction purpose and to finish the project. The details can be found on their website and you can even avail a discount if you’re in a group of 9 or more people. 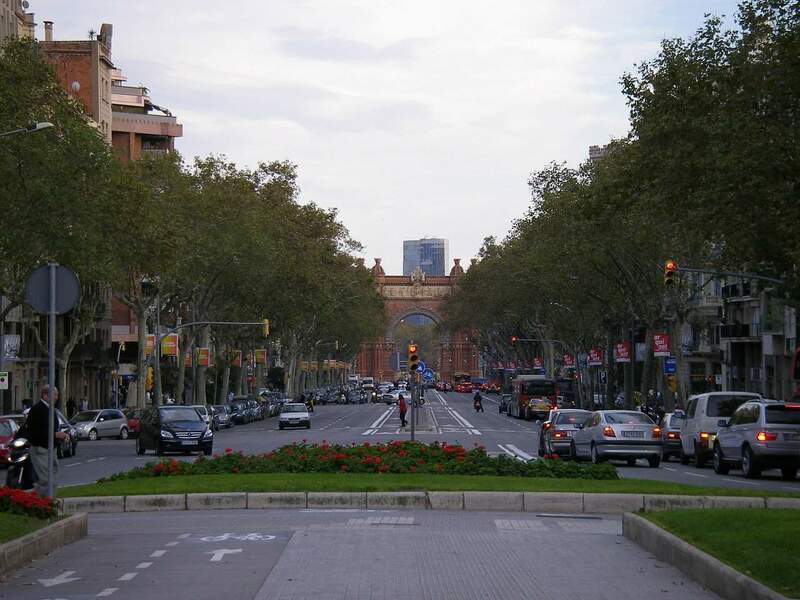 Our next attraction was the very popular La Rambla Street which again, takes a few hours to see the entire place. It’s actually a walking street that starts from Plaza Catalunya and ends at the Monument of Columbus so it’s spread across a few miles and there are some other tourist attractions within the area as well. Make sure to have a gelato when you’re there. I am sure you’ll enjoy it! There were lots of international and local brands there and it’s a really good place for a shopper especially if you’re interested in purchasing the locally produced goods. I did some shopping at Zara. However, it is advised that you should be aware of the pickpockets there which you will also be reminded off by the boards on the street. Spain has a beautiful architecture that reminds of the olden times. Although the buildings were built in the historic times, they remind of the beauty of true architecture, though not modern, they were pleasant to see. Here again, you can see the works of Antoni Gaudí, the famous Spanish architect. We just took a stroll around the areas in Barcelona and explored the city on foot. In the evening, we walked from the hotel to see the Magic Fountain Show, a music, water, and light show and ended up spending the entire evening there. We decided to wait there till 10:00 pm and also explored some of the beautiful nearby areas. The show was supposed to start at 9 and we did wait for an hour extra but unfortunately, couldn’t witness it. Later, I found out that the evening shows during summers were from Thursday to Sunday (9 pm – 10.30 pm) and winter shows from Friday until Sunday (9 pm – 11.00 pm). Unfortunately, we missed it because it was a Wednesday that day but we didn’t find that information anywhere so we just waited like idiots. The admission is free and I am sure it would have been great witnessing it but I’ve seen enough water and light shows in Dubai and they’re really awesome there too! Our first day ended with a Halal Turkish doner which my husband bought from the nearby restaurant while I choose to rest in the hotel room. On the second day, we took the train and ended up at a lively local Spanish market where I observed the hustle bustle of the shoppers who were busy buying the local produce. There were fresh fruits and vegetable and if I would have been staying for a longer time, I would have bought a fruit basket too, but we had to fly the next day so I just ended up on a candy stall and you can imagine what must have happened next. I had just mentioned of spicy biryani to my husband and was really hoping I could have some after having Turkish food for all the meals, and to my surprise, he planned our dinner at Bombay Spicy, a Halal Indian restaurant very near to the market. I loved the chicken biryani, it was so spicy! These were some of the main tourist must-see attractions in Barcelona. In these 2 days, there were some more that I was able to see but these ones were the best. 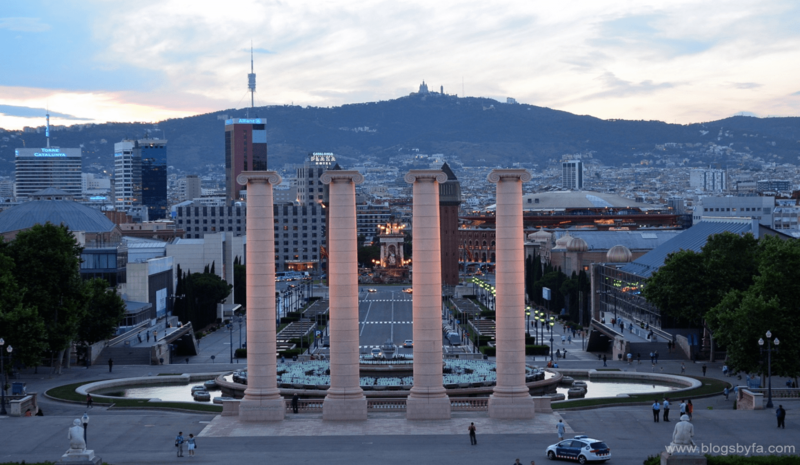 We had purchased a 2-day pass so it was extremely convenient using their train system but if you want, you can also opt for the Hop-on Hop-off buses to explore Barcelona. About: Fatima Ali blogs at Blogs by FA, her UK lifestyle blog. She loves to travel, dine out and explore different horizons in life which are reflected in her blogs too. There are many halal places in Barcelona as well as mosques where you can pray. You can check out some of the best halal restaurants in the Zabiha website. To use the hop-on, hop-off busses, do you buy a special pass, or just pay each trip? You will have to buy a ticket with one of the companies and then you can use the bus. Sorry, I am not sure where to find them. I would look for hotels in places that are near to tourist attractions as you can always find halal around them. 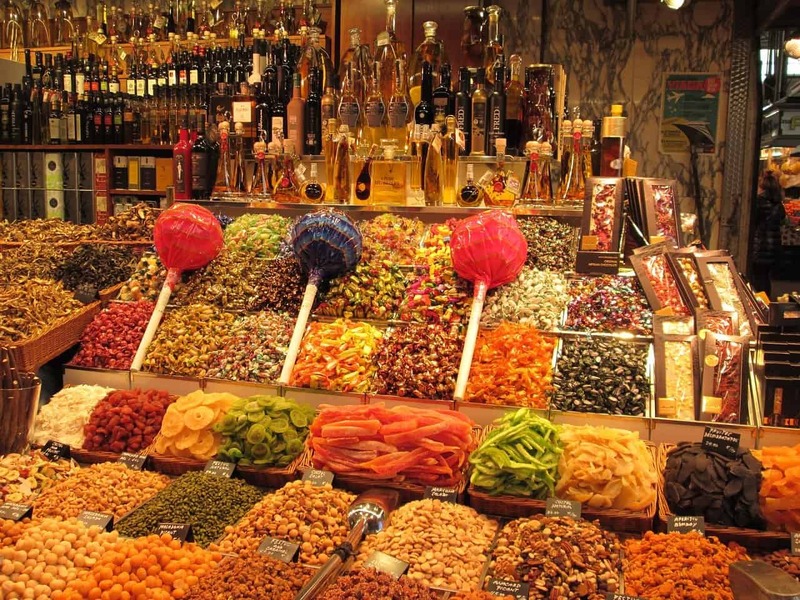 Do you recommend staying near the Las Ramblas considering that most halal restaurants are at the end of the street? There are so many hotels to choose from…. Which one did you stay in? We stayed in a Holiday inn but we had a car. I would recommend staying where you would feel most comfortable. If halal food is important to you then definitely stay close, read the reviews of each place. There are also some halal hotels in the area.